Helping families in Kitsap County build strength, stability, and self-reliance through affordable homeownership. Habitat for Humanity of Kitsap County was formed over 25 years ago. Our first home was complete in 1994 and for the next few years we grew from building a house every couple years to building a couple houses a year. Like many Habitat affiliates, we learned as we grew. Our technological expertise in construction increased as well as our understanding of "best practices" in building a foundation of support for our families. Habitat Homeowners gain life skills through extensive training classes and the relationships developed while working side-by-side with Habitat Volunteers. We have also learned that families have even better long term outcomes when they worked side-by-side with other Habitat Homeowners building a community. Community building is a means of bringing together like interests to further common goals. Community building is actually part of holistic community development, in which community members play the most important role. It is most effective when the energy for these activities comes from the citizens within the community instead of being imposed on them from an outside interest. 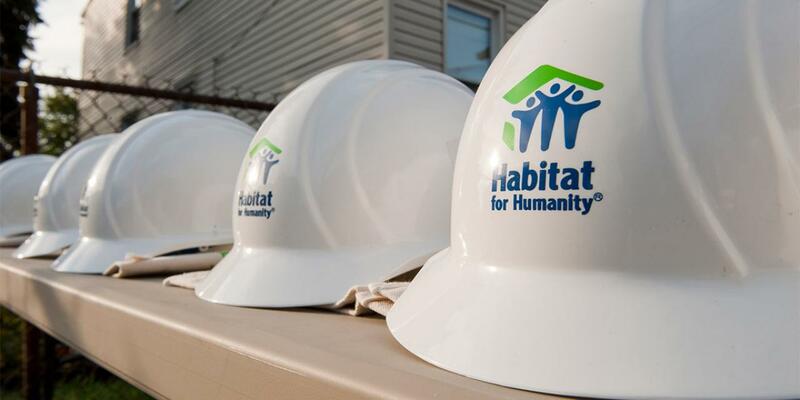 Habitat for Humanity strives to build with a community, not for a community. In 2004, we began planning for our first Neighborhood/Community in Kitsap County. New Hope Circle turned from dream to a reality when the first five families moved in right before Christmas in 2007. The neighborhood in Bremerton was completed with the 17th home a little over two years later. Since New Hope, we have helped Habitat Families build community in Suquamish, East Bremerton, Navy Yard City, and we are currently building a 32 home neighborhood community in Port Orchard. We have also begun a Neighborhood Revitalization program with the goal of helping aging neighborhoods build community. While helping families build homes of their own remains at the core of Kitsap Habitat's work, our mission and principles have always included a broader concept of contributing to a more comprehensive community effort. Kitsap Habitat has shifted from the position as the hub, or primary actor, in a community's housing efforts to acting as a spoke - one among many forces working toward holistic livelihood strategies. Our goal, however, remains the same: provide everyone a decent, affordable place to live while building up hope and community.